RTO Tools is dedicated to developing tools that help Registered Training Organisations achieve success in their business. If you have any questions about the tools we offer or any other enquries, please feel free to email or phone us using the details below. 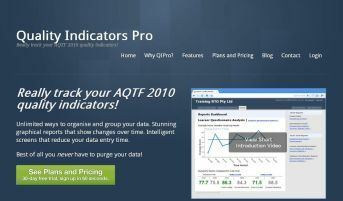 Our premier product is Quality Indicators Pro which helps you to really track your AQTF2010 Quality Indicators which is now a condition of registration as a Registered Training Organisation.